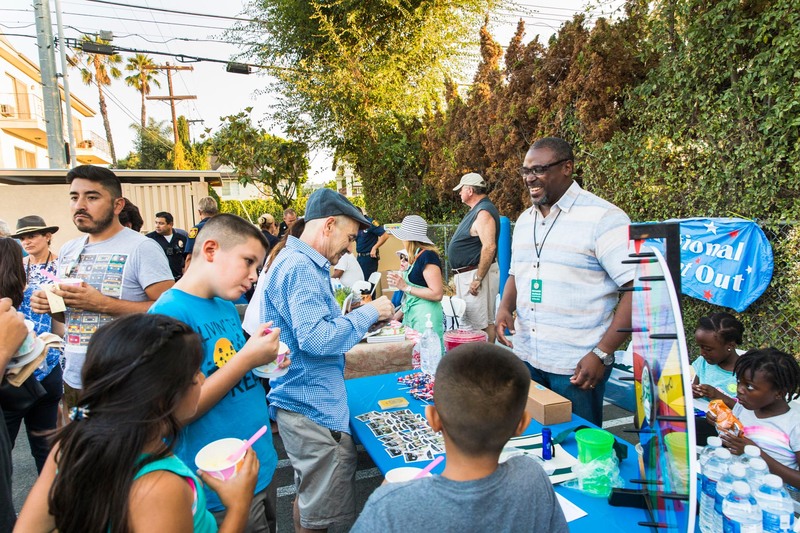 On August 7, Toluca Lake joined with more than 16,000 other communities across the U.S. in celebrating the 35th National Night Out, which brings neighbors together and promotes partnerships between police and the public they serve. 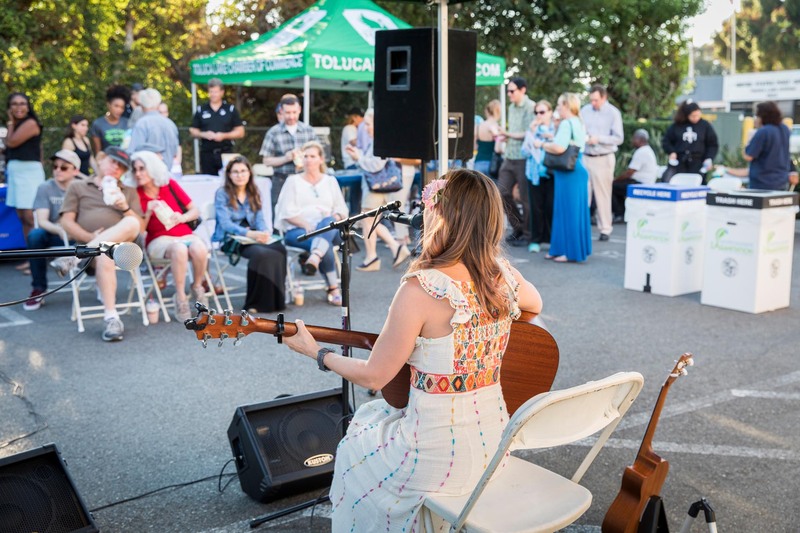 Presented by the Greater Toluca Lake Neighborhood Council, the festivities were held at the Chase Bank parking lot on Riverside Drive and featured live musical performances by Alicyn Packard and Jim Salinger. 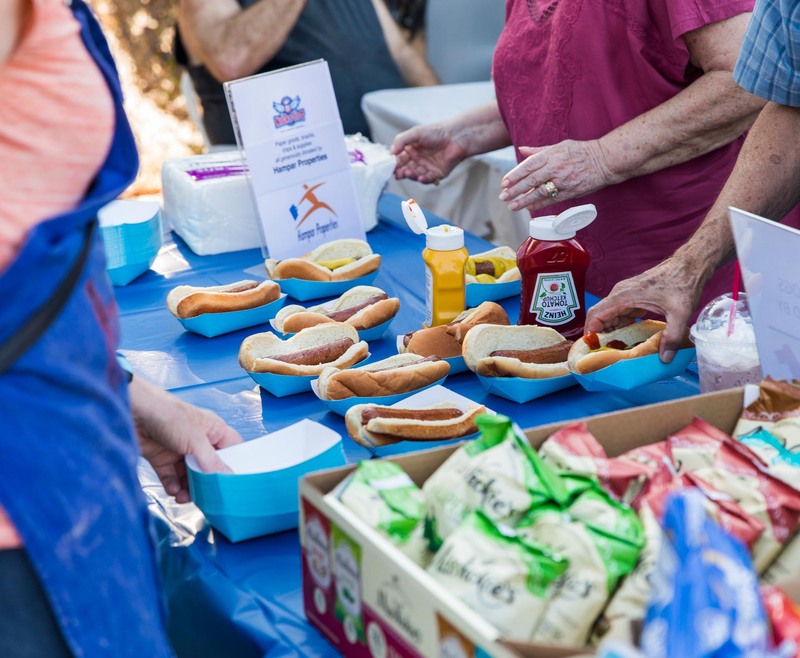 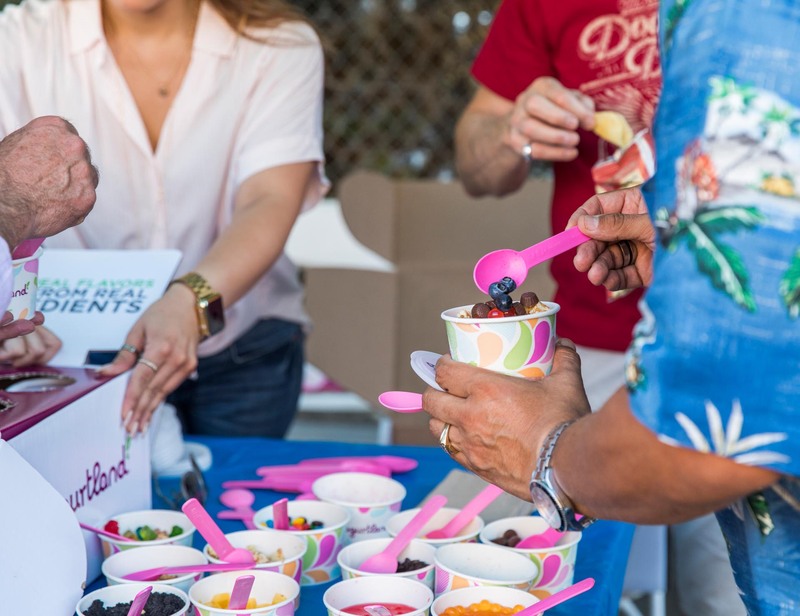 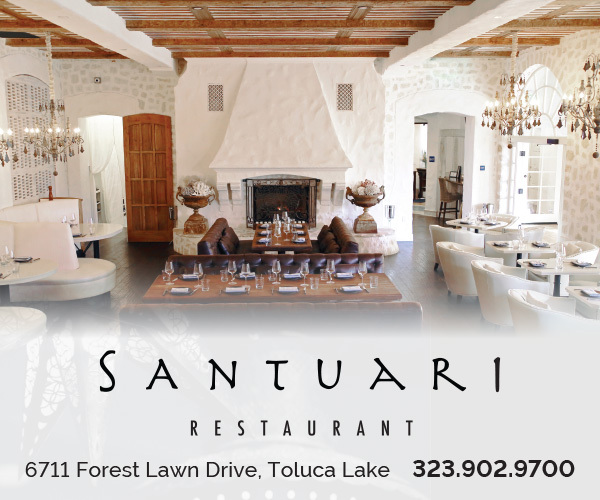 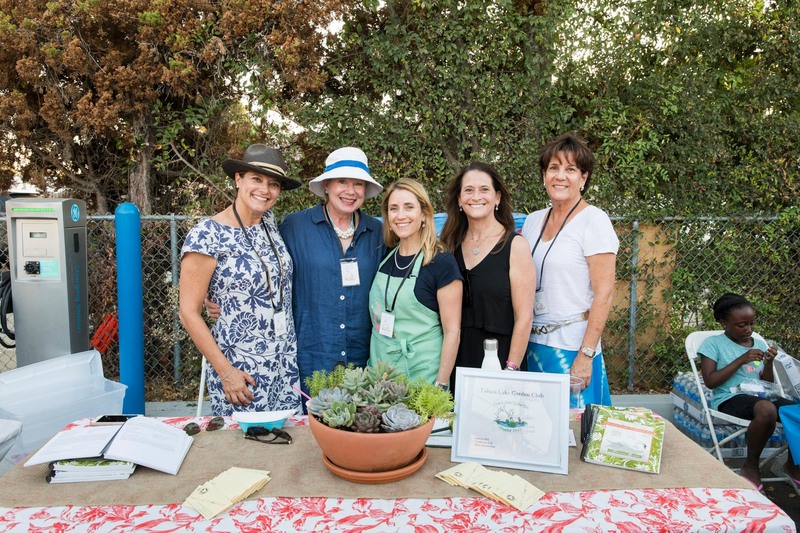 Local businesses and community groups sponsored free refreshments, including hot dogs from Patys Restaurant, chips and other supplies from Hampar Properties, coffee from Strong Realty, and Yogurtland frozen yogurt from the Toluca Lake Chamber of Commerce. 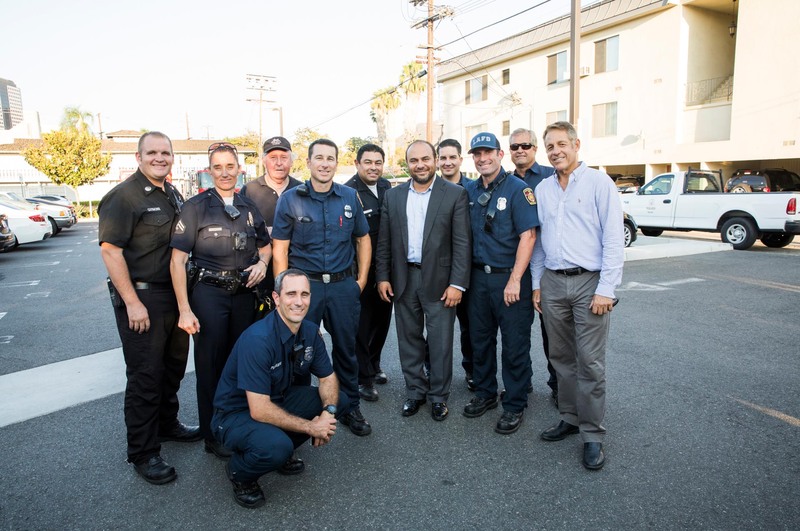 Additional sponsors providing raffle prizes and support for the event were Target, the Los Angeles Police Department, the Los Angeles Fire Department, the Toluca Lake Homeowners Association, Councilmember David Ryu and Assemblymember Adrin Nazarian, who briefly addressed the crowd on the evening’s significance. 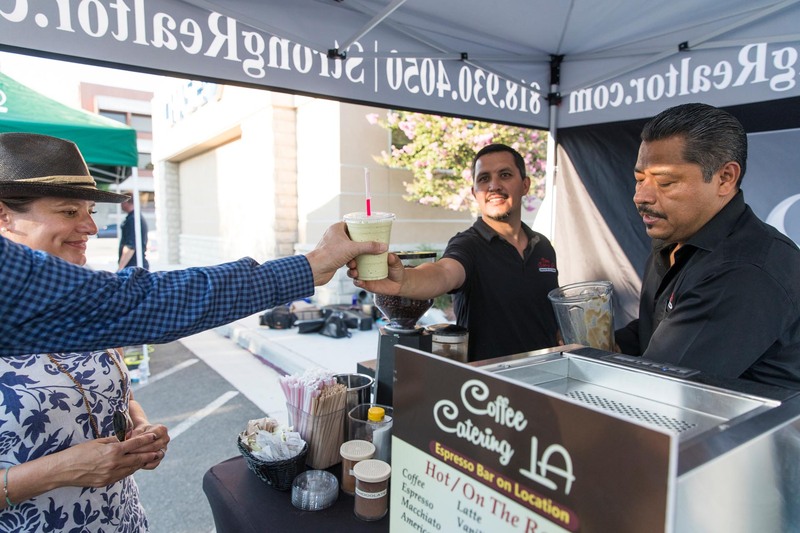 “It’s critically important for us to be taking advantage of events like this, getting to know one another and setting up networks that support one another,” Nazarian said, explaining that good communication among neighbors can help the community address issues such as homelessness and prepare for tougher economic times or other future difficulties. 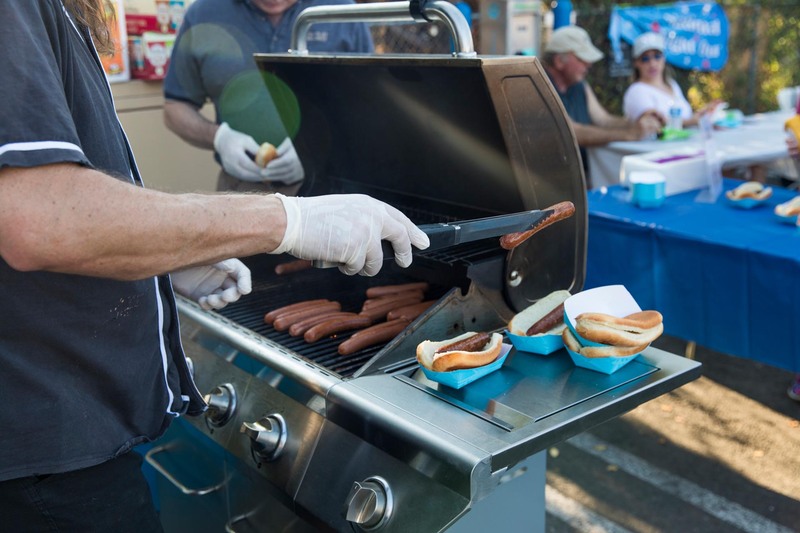 Reinforcing the emphasis on public safety, local first responders and representatives from the Neighborhood Watch were on hand, mingling with residents, local businesses and organizations in a strong showing of community spirit.